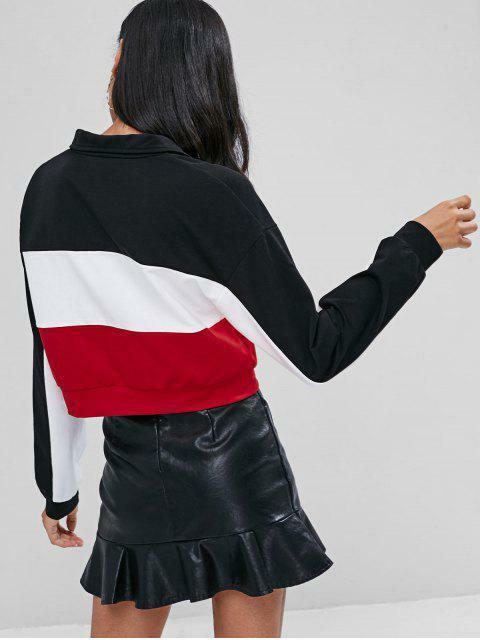 [47% OFF] 2019 Half Zip Contrast Sweatshirt In BLACK | ZAFUL .. 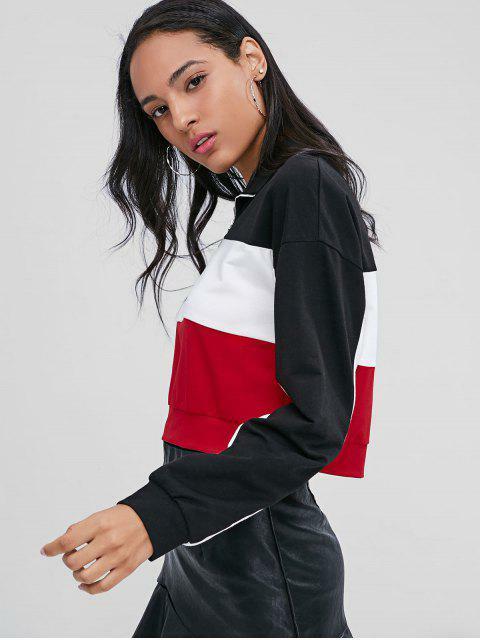 This casual drop-shoulder sweatshirt features half-zip closure at front, three-tone color design, and an alluring cropped length which adds fashion. 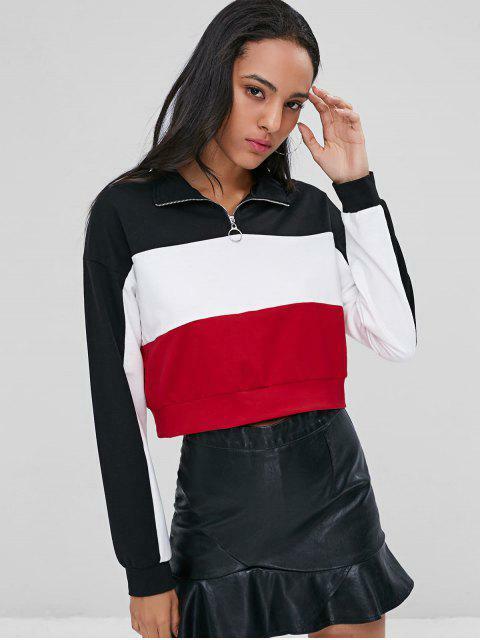 Wear it with your fave bottoms for maximum points.